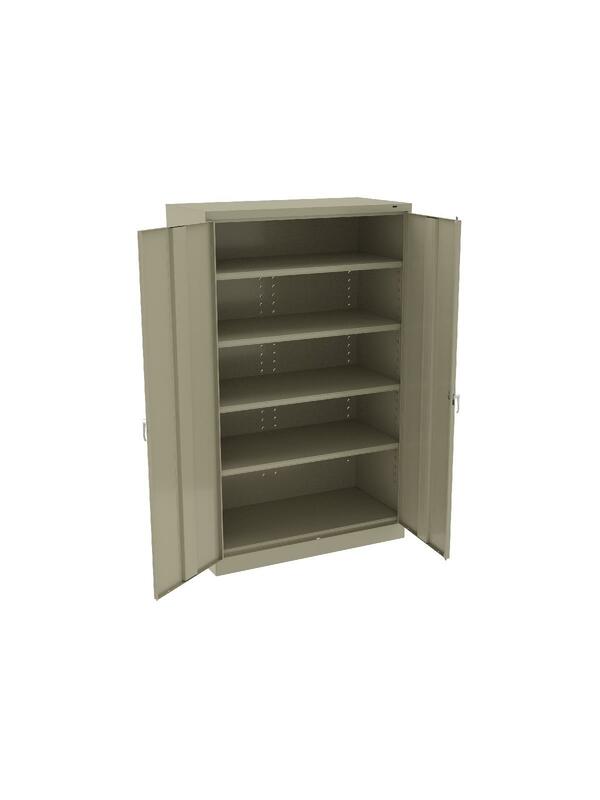 Features a full 48" width to handle bulky items. 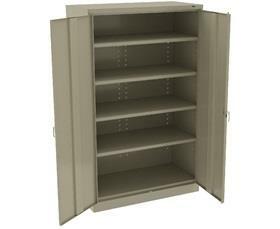 Jumbo size for jumbo storage capacity. Two front leveling glides compensate for uneven floors. Four leaf hinges on each door insure the integrity of the cabinet and the alignment of the doors. Handle on right-hand door activates a three-point locking system for added security -- second handle on left-hand door. Shelves are adjustable in 2" increments on built-in shelf tabs. Shelves hold up to 400 lbs. evenly distributed. Unassembled cabinets ship in 2 cartons. Available in Black, Champagne/Putty, Sand, Light Gray and Medium Gray. FOB Shipping Point.